Actor Ashton Kutcher is engaged to marry his former That ’70s Show costar Mila Kunis, and his ex-wife Demi Moore isn’t too happy about it — to say the least. 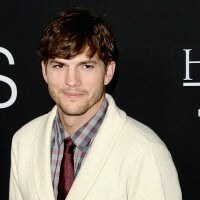 Not only is Kutcher engaged to marry the stunning brunette starlet, but they’re also expecting a little bundle of joy together. Kunis is pregnant and due to give birth in the fall. Since the Kutcher-Kunis wedding coverage will undoubtedly be plastered all over the media, Moore is opting to deal with it by getting away. Once she hears the date of the big event, she’s going to hop on a plane and travel halfway across the world to India. When Moore is in India, she won’t be sitting around twiddling her thumbs, however. She’ll instead be on a serene yoga retreat in the city of Rishikesh, a spiritual hub. While she’s on the retreat, she’ll enjoy a regimented lifestyle of waking up at 4:00AM each morning, meditating and chanting. She’ll spend a lot of time doing yoga by the river, too. As far as meals go, Moore will enjoy light vegan fare in moderate amounts. Most importantly, Moore will have absolutely no access to television, Internet and telephones. She’ll be able to ignore the wedding festivities and coverage entirely. Since the divorce from Ashton is still so raw in Moore’s mind, she’d rather simply avoid seeing things that could evoke unpleasant feelings. Although the pair broke up in 2011, the divorce was only finalized in November of 2013. Pictures of Kutcher and Kunis happily tying the knot during a lavish wedding, for example, might not be effective for helping Moore deal with her post-split roller coaster of emotions. Not only does Moore want to run away from the wedding, but she also wants to do the same when Kunis gives birth in October or so. The gorgeous actress is determined to get over Kutcher and will do whatever it takes to ensure that nothing hinders her progress. Luckily for Moore, she doesn’t have to deal with her emotions all alone. She’s been in a relationship with a drummer by the name of Sean Friday since last year. 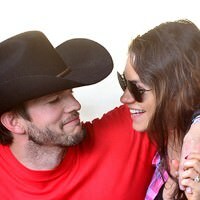 Mila Kunis & Ashton Kutcher: Ditching Hollywood? Ashton & Mila Are ‘Real Life Ross & Rachel’ – According To Ashton’s Twin Brother Aw! 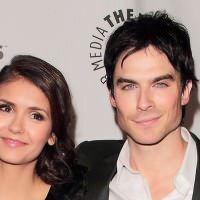 These Young Hollywood Couples Will Melt Your Heart 22 Celebrities Who Practice Open Relationships We All Saw It Coming – 9 Celebs Whose Romance We All Saw Coming Before They Would Admit It Aww! Ashton Kutcher Defends Pregnant Mila Kunis from Photogs!